The term “two natures” was introduced of necessity precisely to express the fact that the godhead and manhood persist without confusion in Christ. The Non-Chalcedonians had an aversion for the use number concerning Christ, believing number to bring division into his oneness. But in that way they made it impossible for themselves to express the non-confusion of the godhead and manhood in Him. The Non-Chalcedonians said: “No number of the natures in Christ must be asserted, because number introduces division”. Emperor Justinian observed that, when number is used to indicate thing that are united, a distinction is made only in word and thought, but not a real division among the things. But in any case, where the distinction is kept, number too, necessarily follows (St. Justinian’s ‘Confession of Faith’). 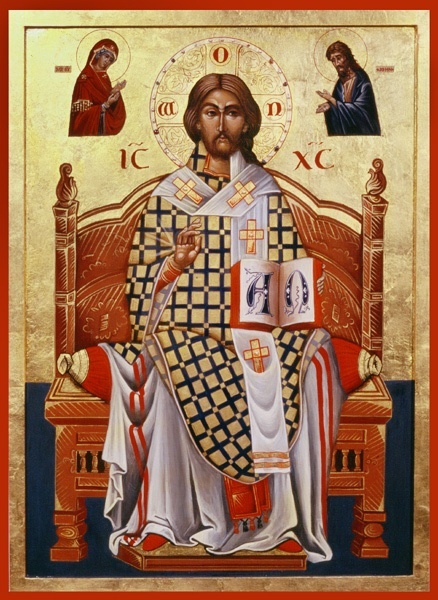 Apart from that, the fact that the Non-Chalcedonians affirmed only one nature in Christ, thus running the risk of confusing the godhead and manhood, forced the Church, both at Chalcedon and afterwards, to affirm that there are two natures in Christ. It is true that the Non-Chalcedonians, wishing to avoid this confusion, specified that the single nature which they asserted is a “composite nature”. But the composite character made this nature no less one. Furthermore, the Orthodox had a lot of reasons for not admitting a composite nature in Christ, The parts of the composite nature combine to form a being in which each part depends upon the other, objected St. Maximus the Confessor (Epistle 19). Can we admit that the divine nature can combine with the human so as to form one single nature with the human?